The one-off Rolls coupe reportedly costs well into eight digits. The upper echelon of the luxury car market hardly ever leaves any expensive stone unturned. Exclusive autos created by the likes of Christian Von Koenigsegg and Horacio Pagani can easily be optioned to a million dollars and up, and with the average Bugatti Chiron costing around $3 million, it doesn't seem like there would be much headroom for anyone to go higher—except for Rolls-Royce. A new one-off coupe that the automaker has been developing for a customer since 2013 is near completion, and it's believed to cost upwards of $12 million dollars. 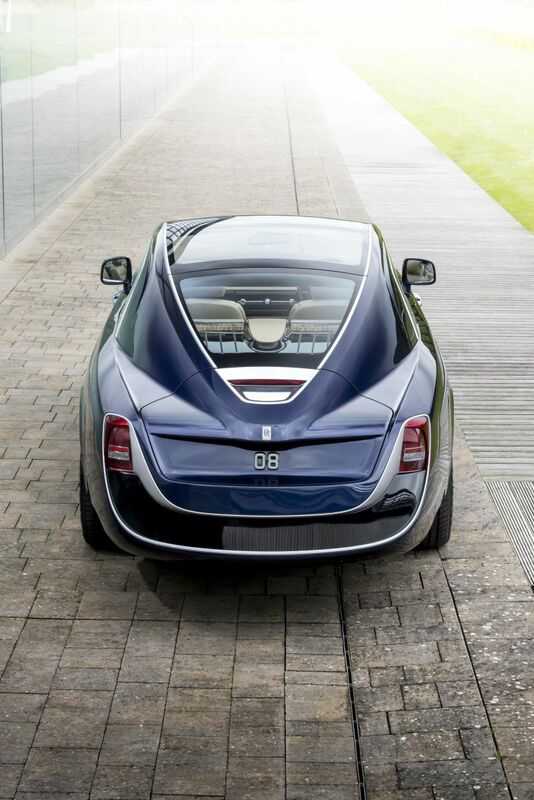 This is the ultra-rare Rolls-Royce Sweptail. This car proves that a manufacturer will build whatever you want, as long as you've got the cash. The inspiration behind the Sweptail comes from Rolls-Royce classics from the 1920s and '30s—and with sweeping lines and coachbuilt quality, it recreates that ethos perfectly. 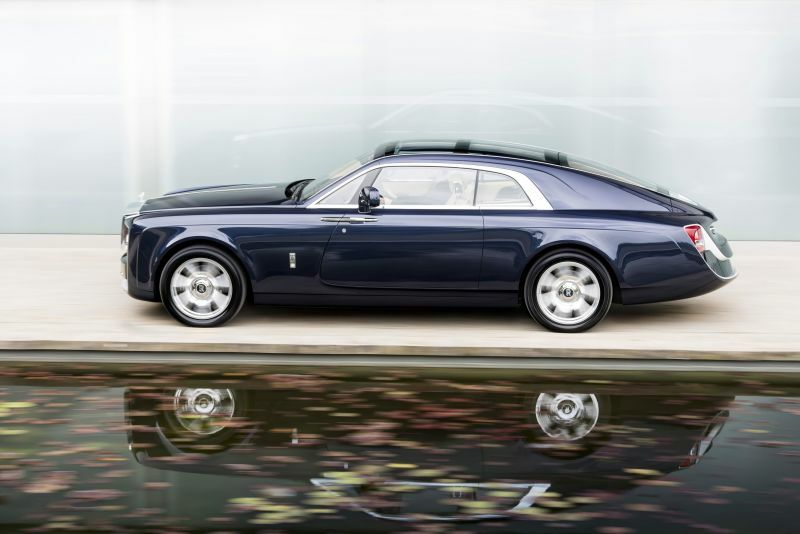 The customer, described as a “connoisseur and collector of distinctive, one-off items including super-yachts and private aircraft”, wished to have an exclusive two-door Rolls with an eloquent glass roof to match its distinct profile. The manufacturer unveiled the car this weekend at the Concorso d’Eleganza in Italy, much to the amazement of the mega-rich crowd in attendance. The grandeur, scale, flamboyance and drama of the 1925 Phantom I Round Door built by Jonckheere; the svelte tapering glasshouse, dramatic dash to axle proportion and up-sweep of the rear departure angle of the 1934 Phantom II Streamline Saloon by Park Ward; the elegantly falling waist-rail, swept tail coachwork of the 1934 Gurney Nutting Phantom II Two Door Light Saloon, and the flowing roofline, rising departure angle, and again the swept tail coachwork of the 1934 Park Ward 20/25 Limousine Coupé were all considered by today’s Rolls-Royce designers in the creation of this very distinctive motor car. In regards to price, it more than triples the price of the aforementioned Chiron. According to the Telegraph, the car totals up to £10 million, or about $12.8 million. Based on that, the Sweptail could officially become the most expensive new car ever sold from any era, even when adjusted for inflation. It may not be your idea of the perfect uber-grand tourer, but to this well-off customer, it's surely worth every penny. No, seriously: You need to watch this video of Donald Trump driving his Rolls-Royce, listening to Taylor Swift. The converted wagon is quite the party piece. There's no camouflaging that iconic grill.